SPRING BLOWOUT SALE!!!!!!!!! $499 WHILE SUPPLIES LAST. Warning! Do not order from any other company other than Super Cycles and Scooters that is branding their scooter with the word “Super”. There is a supposed wholesale company trying to sell a poor quality, cheaper yet similar looking scooter and branding it a similar name. Their 1000watt model is actually an 800 and their 1200 is actually a 1000. There are no larger motors from any factory then a 1000 in a brushed form. 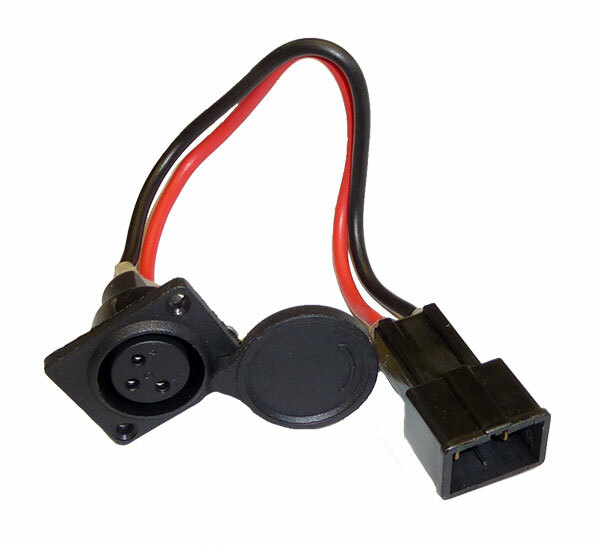 Only brushless motors are a higher wattage and go beyond 1000watts. We advise all customers to do a “rip off report” before purchasing from any company. This can be done by simply typing in the name of the business followed by the words Rip-off Report in a Google search. We also advise checking out any business you plan on purchasing from with the (Better Business Bureau). You can find their site at this link www.bbb.org We want all customers to make a smart and informed decision before making your scooter purchase. Unlike other companies we do our best to give accurate specifications. 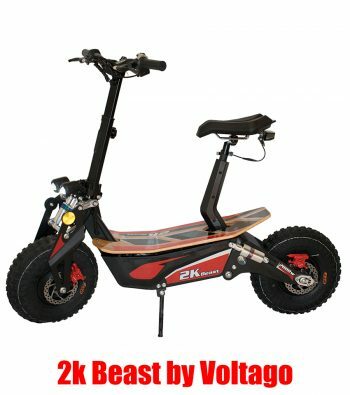 If you are in the market for a high quality, powerful, durable, affordable, and fast electric scooter; supported by the best customer service and parts availability…. then look no further! 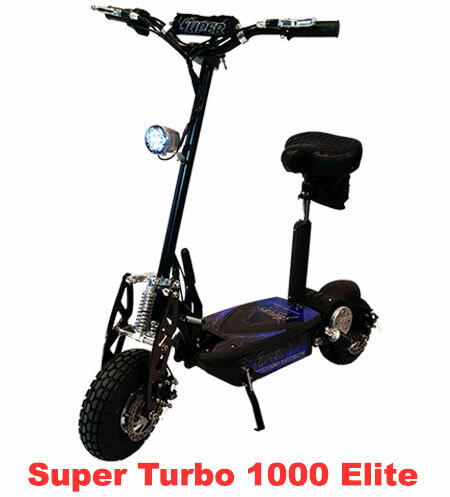 The Super Turbo 1000-Elite is the internet’s highest rated electric scooter. With tons of positive reviews on Amazon, You Tube, and other online sites….it is easily the overall best buy electric scooter! Buy it direct and save big! Only $499 with FREE SHIPPING! This amazing scooter has been in production for over 10 years. With over 300 positive reviews on Amazon.com and several positive YouTube videos; it is easily the internet’s #1 rated electric scooter! We install the absolute highest quality parts on all our scooters. The 1000-Elite is equipped with more features than any other electric scooter. It comes standard with front and rear disc brakes, duel rear adjustable shocks, solid steel frame, folds in seconds, removable seat post, fat 10.5″ all terrain tires and a free tool kit plus charger. It includes features not found on other electric scooters such as: LED head light, comfort seat, key switch ignition, turbo/econo button, small storage bag and deep cell lead acid batteries. IT’S FAST! We use a true 1000watt 36v motor that spins at 3000rpms resulting in speeds of 18-27mph. Batteries are the most expensive part on an electric scooter. Most companies use the cheapest batteries available so they can sell their scooters at a low price. This results in batteries failing in a very short period of time; costing you even more money in replacements. The Super Turbo 1000-Elite is equipped with a Deep Cell 36v 12ah lead acid battery pack that is incased in a heavy duty double canvas bag. 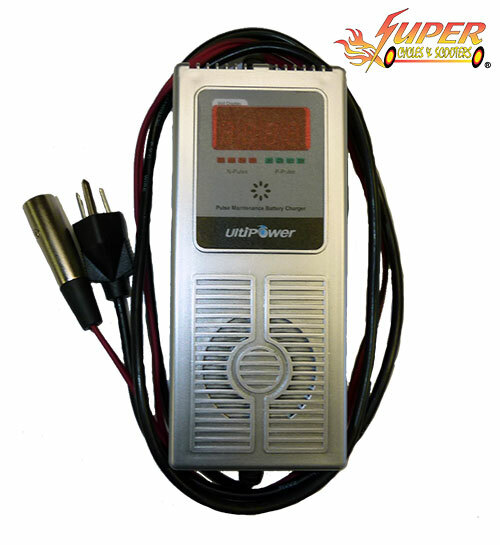 It’s rated for 350 charge cycles compared 250 charge cycles of average lead acid batteries. Some companies claim over 600cycles on a lead acid battery; do your research and you’ll find this is not possible unless you are using a desulfating charger such as the one we sell as an upgrade accessory. Deep Cell batteries contain more lead plates resulting in a slightly heavier battery however; they have a longer life and longer run time per charge compared to standard batteries. 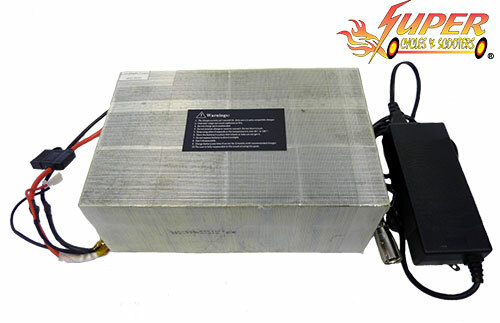 We guarantee it is the best possible lead acid battery available for electric scooters. Click on the photo to view and add accessories to your cart or click here and add items on the same page. All accessories are installed free of charge when purchased at the same time as your scooter. Stock parts that are replaced will be included in the box. 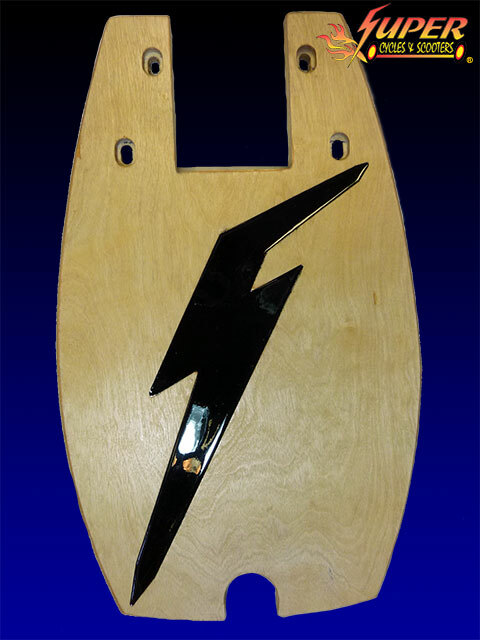 More Accessories AVAILABLE than any other electric scooter company! 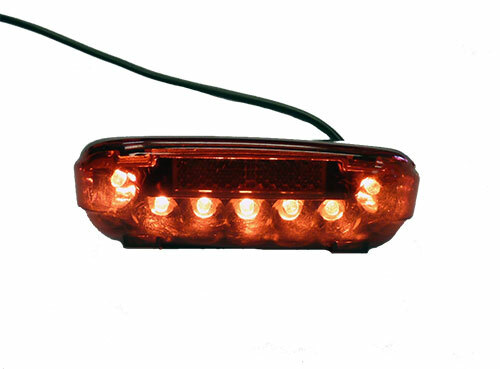 We have more accessories and upgrades available to our scooters than any other company! 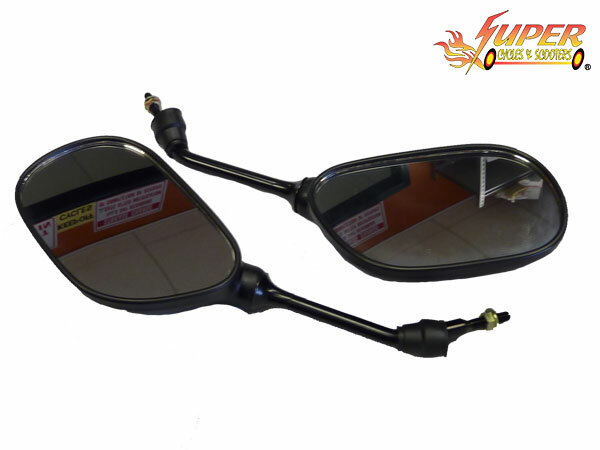 We currently offer the following: mirrors, brake light/tail light kit, hill climbing kit, wooden deck, splash guards, large storage bag(included on 1300w and 1500w models), fast charger(for 1000 only), 36v 20ah high capacity lithium battery upgrade (for 1000 only) and an external charging port (used as an adapter to charge the battery outside the scooter if needed) All scooters have a charge port built into the side of the scooter for easy charging. Add accessories to your order by clicking on the accessory page or link. Any accessory that is added to cart and purchased at the same time that you purchase a scooter will automatically be installed free. Please note: all of our scooters come with everything you need including a standard charger. The only exception is the hill kit which is a necessary upgrade if you have any hills. Please click on “details” to find more information on any accessory you are interested in. Accessories are optional upgrades to your scooter. Everything that you see in the pictures with the scooter is already installed and included with it. 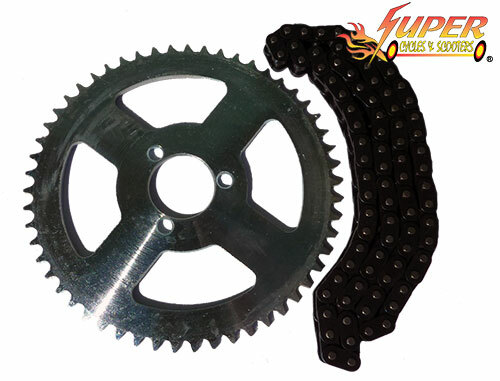 Why buy from Super Cycles & Scooters? We realize there are many similar looking scooters and E-Bikes on the market. So why buy ours and why buy from us? The difference is we install the highest quality parts on our Scooters / E-Bikes and each one is inspected and tested to make sure it’s in working order before being shipped. We have been in the business since 2003. Our customer service goes above and beyond to make sure you are happy with your purchase. You have our word; you will not find more powerful or higher quality E-Bikes / electric scooters. Do your research! We have thousands of positive reviews found on several websites including Amazon.com, YouTube, and many others. We also have an A+ BBB (Better Business Bureau) rating. We would like all potential customers to keep in mind the following about our electric scooters / E-bikes: They are machines and machines need maintenance and sometimes repair. Therefore, we have developed exclusive “How to Videos” on our website; such as: “How to change a tube in your tire if you get a flat”, “How to adjust your chain”, “How to properly maintain your scooter” along with many more. Our videos are only accessible to our customers via a password that is given with the scooter’s manual. RANGE: 10-18 miles per charge; (range depends on rider’s weight, speed they are driving, and terrain) Special note= Hills and Heavy Rider Weight will greatly reduce RANGE. SUSPENSION: Innovative adjustable front mono shock and dual rear adjustable shocks. 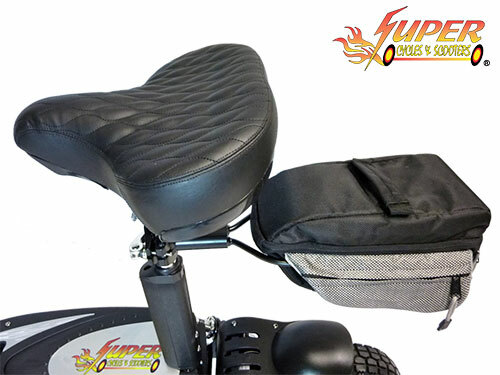 Shortest Seat Height: 29″ Measured from the ground up. Highest Seat Height: 35″ Measured from the ground up. We test every scooter / E- Bike and improve its packaging before it ships. E-Bikes / Scooters must go through this process before being shipped for quality assurance. Once an order has been placed it usually takes no longer than 1 or 2 businesses days to QC and ship your E-Bike / Scooter. However, depending on the volume of orders we receive the same day, your order may be delayed up to an additional five business days. You will receive a tracking number via: email once your order has been processed. This does not mean that your order has been shipped. Orders go through our quality control process first and then are picked up by FedEx. Once your order has been picked up by FedEx, shipping time usually takes between 2-6 business days depending on what state you live in. East coast customers are usually 2-3 business days and West Coast is usually 4-6 business days. We only ship to a billing address. Orders that cannot go to the billing address will be canceled. We do not ship to PO boxes. Part orders are shipped with either FedEx or USPS. Shipping is FREE with your purchase! However we only ship to the Continental 48 states free of charge. Alaska and Hawaii customers please call us for shipping details and charges. International orders are not accepted. Important Safety Note: YOU MUST INSPECT YOUR SCOOTER/E-BIKE BEFORE EACH RIDE FOR SAFTEY. It is the purchaser’s responsibility to do a complete safety check and adjust, tighten and look for any missing nut bolt or anything out of the ordinary before each and every ride. We also highly recommend full safety gear such as a helmet, gloves, elbow, and knee pads.